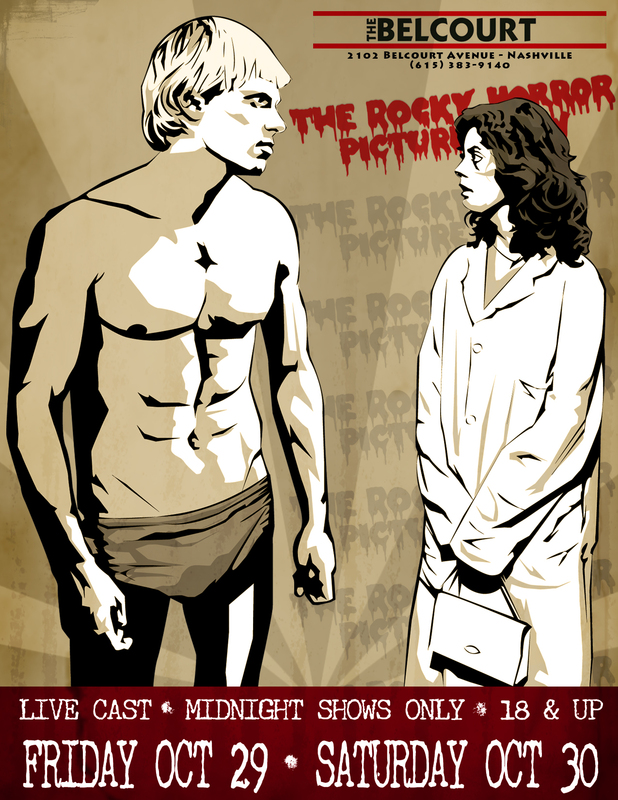 Rocky Horror in Nashville! 10/29/10 & 10/30/10 – Two Midnight Shows at The Belcourt Theatre on Halloween weekend! We will have two shows: Friday 10/29/10 and Saturday 10/30/10. Both shows are at midnight. There is nothing better to do for Halloween in Nashville than come to Rocky Horror and give yourself over to absolute pleasure! These shows are 18 and over. Please bring your ID and arrive early – we will sell out! On that note, go ahead and purchase tickets early. They are available now at the Belcourt Theatre website. The cast will have prop bags including newspaper, party hats, noisemakers, etc on sale with various other props. Cash only – and all proceeds go to help pay for the show. ~ by nashvillerockyhorrorpictureshow on October 17, 2010.